Treat your furry loved ones today! Perfect gifts for all dog lovers. Your pets name on a photo frame, bandana or tepee bed? something really different! And so do their accessories! Please check the size description for any item ordered against your doggies measurements. There are no standard sizes across the site. A: measure around the neck as you would for a collar. 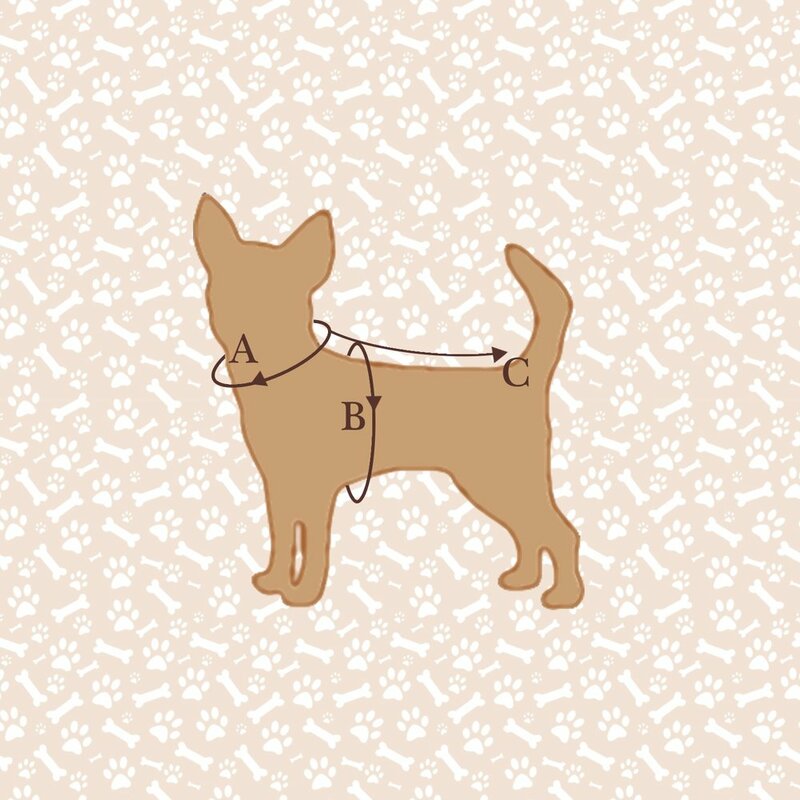 B: Measure right around the deepest part of your dogs chest. C: Measure along the back bone from the base of the neck to the base of the tail. Shop our fabulous doggie range today!